Mikado and Masaomi begin the school year in separate classes. In Masaomis class is the girl who was kidnapped before, Rio Kamichika, and her background story is revealed, including her encounter with the headless rider. While hanging out with Anri, Mikado and Kida learn about her worries for her missing friend and try to cheer her up. Later the duo gets themselves in trouble when they are cornered by a gang of thugs. 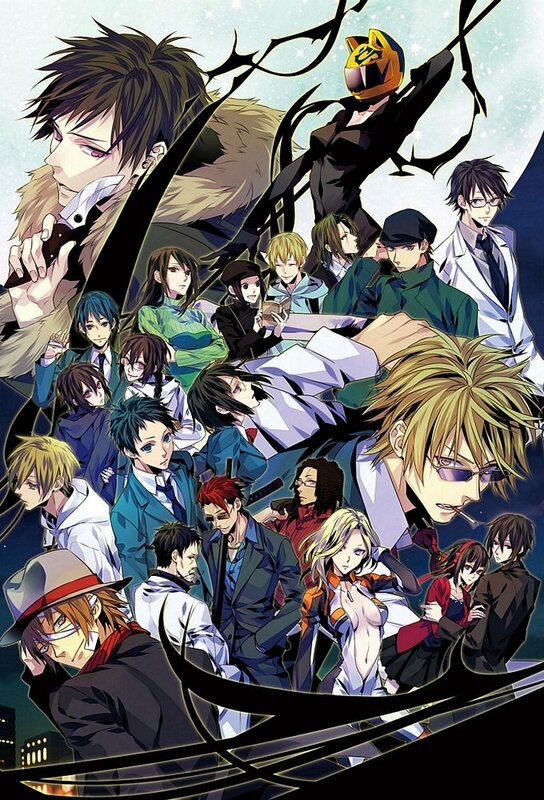 The Dollars gang figures that a foreigner friend of theirs was captured by the manhunters and search through Ikebukuro determined to rescue him. Shizou has been very angry and destroys everything around him. Just as he recalls how he started doing that, his past involving the secret of his limitless strength, his relationship with Shinra as well as his encounter and vendetta over Izaya Orihara is revealed. Celty runs away from home after arguing with Shinra, and an exchange student asks people to write what theyre looking for in a notebook she carries. After losing contact with her brother Seiji, Namie Yagiri enlists Izayas help to find him. While roaming through Ikebukuro, Seiji and Mika Harima stumble onto Shizuo and Celty and a heated pursuit begins after Celty figures that the head attached to Mikas body is actually hers. It is discovered that Harima Mika is actually alive, and that Celtys head is being held by Yagiri Pharmacy. Shinra had known about it, and kept the secret from Celty for the fear of losing her because of her heads will.